Puerto Rico is one of those islands full of rich culture and tradition. 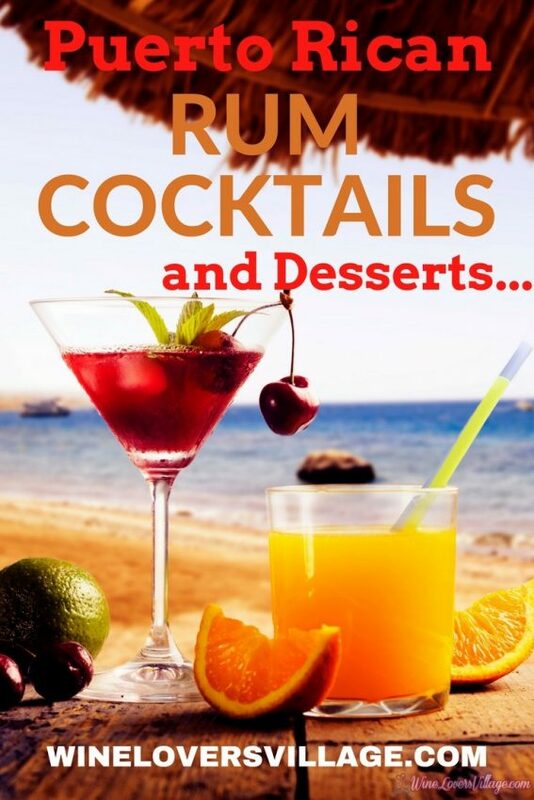 The island’s diversity offers food and drink that is full of the delicious rum the island is known for. With sugar cane plantations built specifically to make the finest of rums, the rum making dates back to the early 1800’s. Of course, we love having cocktails and desserts made with this delicious liquor and here are some of our favorites. Let’s start our journey in San Juan, Puerto Rico, at the Caribe Hilton. We enjoyed the Caribe Hilton for its private beach, bird sanctuary — and its home of the first Piña Colada cocktail ever made. Back in 1954, a bartender named “Monchito” Marreo mixed up the first Piña Colada, where he served it for another 35 years. Inspired by the birthplace of the Pina Colada (the official drink of Puerto Rico) at the Caribe Hilton, Hilton’s Puerto Rico properties are rolling out unique rum offerings all the time like this Naranjito. But don’t worry, they still make their signature Piña Colada. Inspired by the birthplace of the Pina Colada (the official drink of Puerto Rico) at the Caribe Hilton, Hilton’s Puerto Rico properties are rolling out unique rum offerings all the time like this Naranjito. But don’t worry, they still make their signature Piña Colada. 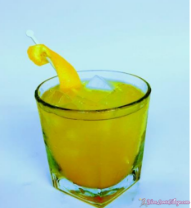 Rum cocktails: The Naranjito. Photo credit Caribe Hilton. Also located in San Juan is the Embassy Suites San Juan Hotel and Casino. It’s just a short 10 minute walk from Isla Verde Beach. The beautiful tropical pool with a waterfall is the perfect place to relax and enjoy some cocktails. For those who like the night life, the casino offers live entertainment as well. The Make It Right is another rum cocktail that is easy to make at home and should inspire you to book your next trip. The Make It Right, rum cocktails. Photo credit Embassy Suites San Juan Hotel and Casino. Now you can drink AND eat your rum in one great dessert. And to eat it, you might as well really enjoy it. The Hilton Ponce Golf and Casino is located in Ponce, where DonQ rum was born. In 1820, the Serrallés arrived in Puerto Rico and started the sugar cane plantation. In 1865, the first bottle of rum was sold. Located beachside on the south coast of Puerto Rico with a 27 hole golf course, the Hilton Ponce has something for everyone. And I’m telling you, everyone needs this cheesecake. Luckily, it is easy to make at home, too. 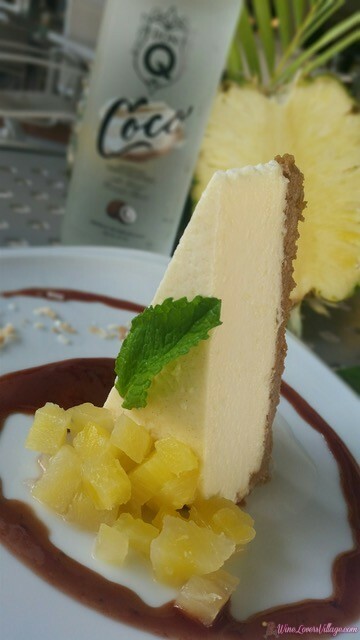 How delicious does this cheesecake look? Photo credit The Hilton Ponce Golf and Casino. Cream the cream cheese with sugar, add the sour cream, and beat for 2 minutes. Add the eggs one by one until completely mixed. Add the Don Q Coco rum and coconut cream. Put the mixture of cheesecake in a cookie crust pan, bake at 300° F for 45 minutes, and let cool overnight. Garnish with ½ fresh pineapple cut in small cubes and marinated in 2 cups of Don Q. Put all ingredients in a saucepan and cook at low heat until the sauce is slightly thicken and reduced by half. Put the mixture in a blender and blend until smooth and serve over the cheesecake. All that’s left is to say CHEERS to rum cocktails wherever you are — and ask when you’re planning your trip to Puerto Rico!